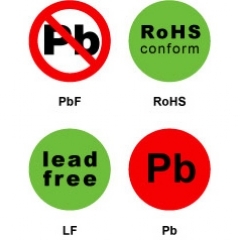 Labels for identifying lead free component packs or finished products. 10mm size – Rolls of 5000. 20mm size – Rolls of 3000.